Betting high on the phenomenal growth foreseen ahead in the Indian beauty and grooming business, product quality, durability and brand value are the few but prime differentiating factor for an international brand’s success in the country. Global brands rapidly foraying into Indian market have a soft yet sharp target, which is the high-spending lot, which is brand conscious consumers, who are open to experiment sans compromising on the quality. This shift in preferences has lead to a new type of demand among consumers turning soft target of global brands. Inspired from international trends, lifestyle and fashion, Indian consumers are aspired to use mostly international cosmetics or other grooming products. Today, consumers have multiple product options to choose, especially with the upsurge of online retail, which has brought least approachable international range of products to the country, making the beauty market a tough yet constantly emerging land of opportunities. Bringing customised international products to suffice Indian beauty palate, the international beauty brands have introduced range of products in the market. To name a few, Maybelline New York, Lakmé, L’Oréal Paris, Za, MAC and Bobbi Brown are the leading brands have forayed in the country and have plans to dominate the cosmetics business. Recollecting the past, while foraying into Indian market in 2013, Marta Prieto, EMEA (Europe, Middle East, India and Africa), Bobbi Brown Cosmetics had stated, “Emerging markets are going to be my growth sources. In the next three years, I am targeting turnover of $5 million from the Indian market. Of the entire wellness industry which is poised to touch Rs 1, 00,000 crore by 2015 with a CAGR of 15-17 per cent, from about Rs 70,000 crore in 2012, beauty care would continue to dominate the industry with almost 50 per cent market share. “Overall, there is an immense economic optimism championed by a young Indian population that is aware, well-travelled and more exposed and connected than ever before. This growth can also be attributed to the increased initiatives by both domestic and international beauty players who are ensuring that country is aligned to the global products and services offered. These are exciting times to be in India and Shiseido’s Za has entered the market just when it is about to explode,” said Benjamin Suzuki, Managing Director, Shiseido India. From sachet to salon professional range, the international brands are leaving no stone unturned to lure Indian consumers. And betting high on the phenomenal growth foreseen ahead in the wellness and grooming sector, product quality and durable impact will be the prime differentiating factor for an international brand’s success in the country. As per the recent FICCI report, the Rs 285 -290 billion beauty care market has grown at a rate 15 to 20 per cent. The swift growth of the beauty business has not only impacted Indian firms to encourage competition in the space, but has also lured numerous international brands to the country. Similarly, Spawake, a premium skin care cosmetics brand, developed independently by Japan’s KOSÉ Corporation added their views over the opportunities offered by Indian beauty market. “The skincare segment in the Indian market is flooded with natural ingredients based products. All spawake products are formulated with Japan’s original sea-sourced active ingredients and developed under advance Japanese technology with key ingredients like seaweed extracts and sea salts. These ingredients being exotic are found majorly in premium skincare segment. Therefore, we seek to occupy a large share of the total space in premium mass segment in the future,” said Nomura San, Director & CEO, Spawake. Capitalising high on the changing global trends and easy online presence, most of the international brands have entered Indian market via leading online retail platforms like Flipkart, Myntra, Snapdeals and others. “India is a dynamic market and beauty conscious consumers seek convenience and value propositions that meet their exacting requirements. While they are willing to experiment, they tend to stick to a brand that works well for them,” said Daniel Bauer, Lakmé Expert. 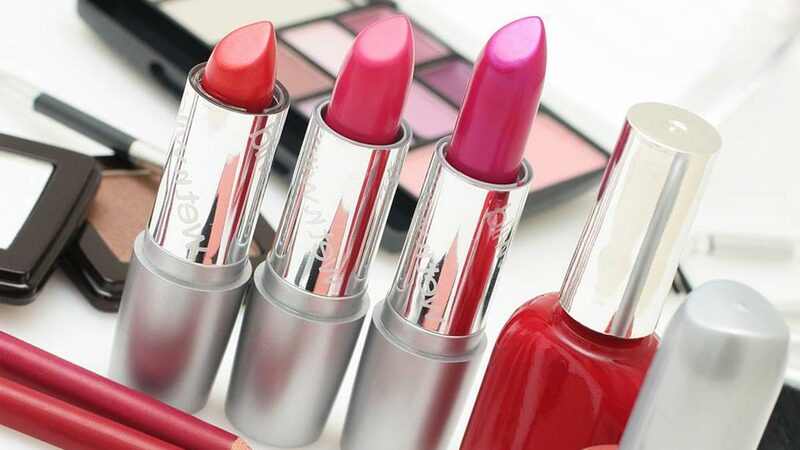 According to the research agency Nielsen, Lakmé is the current market leader, with a 17.7 per cent market share in cosmetics and Lakmé has a reputation for aggressive expansion. No doubt, India is an attractive name for global brands making an entry or planning an entry, the catch is however, to ensure a sustainable business model. Wellness start-up innovating Indian market..